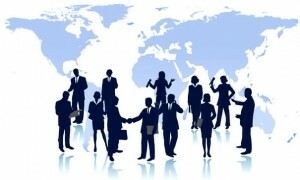 Who you spend time with MATTERS in your Global Business! 7 Traits I’ve discovered Successful People Have in their Global Business! Should You Help or Empower Your Organization? 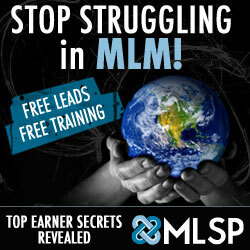 ← Do you have the GUTS to start a Global Business from home? 60 Responses to A Different Crowd- Who you spend time with MATTERS! Hi! You have done a marvellous job! I have added a link to your homepage on my website’s friends page. Hope this will help you to get more traffic. Thank you for reading my blog, I really appreciate it! I hope it helps and if there is anything I can do to help you, don’t hesitate to send me a message. What projects are you working on for 2012? Many thanks for committing both time and knowledge to publish this info. This information has been genuinely instructive for me individually. you should update more often great read, also like the theme of the blog. Thank you for your feedback. I’m posting 6 times a week so that should help get even more information out. I have a lot of knowledge stored in this mind of mine! Let’s keep in touch!! Thanks a ton for posting this, I observed it very informative, and it answered most from the concerns I had. Thank you for taking the time to read my blog. I hope it helps you in your journey. Happy Holidays and wishing you the BEST year ever in 2012! If I can do anything to help you, don’t hesitate to ask. Look for my Project 50,000 announcement on Christmas day! That’s an ingenious way of thinknig about it. Thanks Vicki! Hope it helps you. If I can empower or help you in anyway, don’t hesitate to send me a message!! Fantastic tale, reckoned we could mix a few unrelated information, nonetheless well worth taking a look, whoa do 1 find out about Middle of the Eastern has got much more problerms as well. Thank you for taking the time to read my blog. I hope you enjoyed it and it helps you in your journey. Happy Holidays and wishing you the BEST year ever in 2012! If I can do anything to help you, don’t hesitate to ask. Great post, I have book marked this website so hopefully I’ll see a lot more on this subject in the foreseeable future! Thank you for taking the time to read my blog. I hope it helps you in your journey and I will update quite often. Happy Holidays and wishing you the BEST year ever in 2012! If I can do anything to help you, don’t hesitate to ask. Thanks Janesa! Wishing you much SUCCESS in all that you do in 2012!! Thank you for any other informative blog. Where else could I get that kind of information written in such a perfect way? I have a mission that I’m simply now working on, and I’ve been at the glance out for such info. Thank you for taking the time to read my blog. I hope it helps you in your journey. Happy Holidays and wishing you the BEST year ever in 2012! If I can do anything to help you, don’t hesitate to ask. Be on the look out for my Project 50,000 announcement! Thank you for taking the time to read my blog. What is ypc? Happy Holidays and wishing you the BEST year ever in 2012! If I can do anything to help you, don’t hesitate to ask. whoah this blog is fantastic i really like reading your posts. Keep up the great work! You know, lots of people are hunting around for this info, you can help them greatly. Thank you for taking the time to read my blog. I hope it helps you in your journey. Happy Holidays and wishing you the BEST year ever in 2012! If I can do anything to help you, don’t hesitate to ask. Thank you for stopping by and reading my post…if I can help you in anyway on your journey don’t hesitate to ask. Be on the look out for my Project 50,000 announcement soon! Thanks Tom for reading my post…I hope it helped out. If I can do anything to help you don’t hesitate to send me a message. Be on the lookout for our Project 50,000 to be released soon. Our team is giving away 50,000 Books! I tried to post a comment previously, although it hasn’t shown up. I assume your spam filter might be broken? Interesting…we’ve had a lot of feedback on this post. It should be working. Happy Holidays! I’ve heard that many times over the years in my career. Call me and I’ll give you 15-30 minute free consultation. Let me see what I can do to help you start on your journey. Be on the lookout for our Project 50,000 to be released soon. Our team is giving away 50,000 Books in 2012! Thank you! Hope you enjoyed the post…come back often! Simply wanna remark that you have a very nice internet site , I enjoy the layout it really stands out. Thank you for your kind words. If I can help you market your business or a project you are working on don’t hesitate to send me a message! Please tell me it worked right? I dont would like to sumit it again if i do not have to! Either the blog glitced out or i am an idiot, the second alternative doesnt surprise me lol. thanks for a excellent blog! It worked! Thanks for reading my blog…if I can help you in anyway to achieve your dreams and goals don’t hesitate to message me. Magnificent goods from you, man. Global Business| Network Marketing| MLM Leader, Internet Marketing | Jimmy Ezzell – Online MLM Leader & Homebased Business Entrepreneur I have understand your stuff previous to and you’re just too great. I actually like what you have acquired here, certainly like what you’re stating and the way in which you say it. You make it enjoyable and you still take care of to keep it wise. I can not wait to read much more from you. This is really a terrific Global Business| Network Marketing| MLM Leader, Internet Marketing | Jimmy Ezzell – Online MLM Leader & Homebased Business Entrepreneur informations. Wonderful goods from you, man. Global Business| Network Marketing| MLM Leader, Internet Marketing | Jimmy Ezzell – Online MLM Leader & Homebased Business Entrepreneur I have understand your stuff previous to and you are just too wonderful. I really like what you’ve acquired here, certainly like what you’re stating and the way in which you say it. You make it entertaining and you still take care of to keep it smart. I can’t wait to read much more from you. This is actually a wonderful Global Business| Network Marketing| MLM Leader, Internet Marketing | Jimmy Ezzell – Online MLM Leader & Homebased Business Entrepreneur informations. I couldn’t have really asked for a much better blog. You are always at hand to provide excellent information, going straight away to the point for easy understanding of your subscribers. You’re really a terrific pro in this arena. Many thanks ! Magnificent goods from you, man. Global Business| Network Marketing| MLM Leader, Internet Marketing | Jimmy Ezzell – Online MLM Leader & Homebased Business Entrepreneur I’ve understand your stuff previous to and you’re just extremely excellent. I actually like what you’ve acquired here, really like what you’re stating and the way in which you say it. You make it enjoyable and you still take care of to keep it wise. I can’t wait to read far more from you. This is really a great Global Business| Network Marketing| MLM Leader, Internet Marketing | Jimmy Ezzell – Online MLM Leader & Homebased Business Entrepreneur informations. Sorry about that…I checked everything looks good on my end. Hey very cool site!! Man Beautiful Amazing I’ll bookmark your blog and take the feeds also…I am happy to find so many useful information here in the post, we need develop more strategies in this regard, thanks for sharing….. Thank you! Hope my posts help you along your journey!! I do agree with all the concepts you have presented on your post. They are very convincing and can certainly work. Still, the posts are very brief for starters. May just you please extend them a bit from next time? Thank you for the post. If you could e mail me with a few suggestions on how you made your website look this great, I would be thankful. Give me a call and we can discuss so I get a better feel for what you are looking for. 913.207.2264. You are welcome! I hope it helped! !